Anyone with a basic familiarity with Robert Mueller’s investigation knows that “no more indictments from Mueller” doesn’t mean “no more indictments.” For instance we’ve already seen him hand off the Michael Cohen case to the U.S. Attorneys’ office for the SDNY, which sent Cohen to prison. With his own investigation ending, it turns out Mueller has farmed out investigations to at least seven federal prosecutorial entities in total. 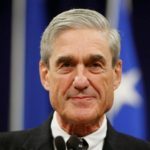 Robert Mueller has farmed things out to 1) the SDNY, which handles federal cases in Manhattan, 2) the EDNY, which handles federal cases in Brooklyn, 3) the EDVA in Virginia, 4) the U.S. Attorney’s office in Los Angeles, 5) the U.S. Attorney’s office in Washington DC, 6) the DOJ National Security Division, and 7) the DOJ Criminal Division. This is all according to a new report today from the New York Times. So what does this tell us? Some of these are outright referrals for criminal prosecution, while others are referrals of evidence and witnesses. But these are all instances of Robert Mueller giving these seven federal prosecutorial entities the tools they need to investigate and indict. Because Mueller’s investigation was into Donald Trump and his campaign, it’s a given that all of these investigations are Trump-related. But how many of them are directly focused on Trump and his people? So now we know Mueller has equipped seven different federal prosecutorial bodies to carry out investigations and indictments, and “most” of those investigations focused specifically on Donald Trump, his family, and his people. In other words, the people on Team Trump who are celebrating right now are merely suffering from a lack of understanding about how prosecutions work.